In 2018, Denmark joined the – so far – exclusive club of countries with concrete plans for offshore wind all the way towards 2030. Three offshore wind farms of at least 800MW will be grid connected between 2024 and 2030. This is one of the positive outcomes of the energy agreement from June 2018, that a unanimous Parliament stands behind. The newly agreed offshore expansion of minimum 2,400MW comes on top of the existing 1,300MW of capacity and 1,350MW under construction. Bearing in mind Denmark’s 2030 ambitions where all electricity must be renewable and 55 per cent of the energy consumption ditto, the offshore wind farms are very welcome. As the energy system in Denmark (and Europe) increasingly becomes electrified the need for additional offshore wind farms in Danish waters likewise will increase. For the same reason the political parties behind the energy agreement have decided to screen for where the next 10,000MW should be located. The development in offshore wind continues to be very rapid, and therefore it goes without saying that the coming three wind farms are – politically – expected to be subsidy free on the park-part. As an exciting new element, companies bidding for the wind farms are able to bid with both Feed in Tariffs and a Contract for Difference. This offers additional possibilities for bidding along with a further cost reduction for the government if the CfD-option is chosen. For many years, companies interested in offshore wind have had the opportunity to apply for building offshore wind in Denmark under the open-door procedure. The option persists but the right to object for local municipalities was enhanced with the energy agreement. In November 2018, the government chose to reserve large quantities of the Danish waters to prevent further applications for open-door wind farms. In DWIA, we see this as a temporary closure until the authorities have decided how to handle the growing interest for open-door offshore as the price of wind keeps falling. The energy agreement also introduces technological neutral tenders that will strengthen the competition between the energy technologies, as all electricity generating technologies (excluding large-scale offshore wind) will compete over subsidies. This full-scale implementation of technology neutral tenders will be phased in from 2020 with trial runs based only on onshore wind and solar and opendoor offshore wind in 2018 and 2019. The tenders for onshore wind in 2018 saw a massive reduction of subsidies of 84 per cent compared to the previous onshore subsidy scheme. The winning bid of 1,89 DKK øre/kWh (»0,25 €-cents/kWh) gives a good indication of just how close the cheapest renewable energy is to being subsidy free. 2018 also saw a final decision to expand the test facilities in Østerild and Høvsøre with a total of four new test pads and at the same time increasing the maximum height at Østerild to 330 metres. This makes especially Østerild ideal for testing offshore turbines in the development stage as the wind speeds resemble those at sea, giving a unique opportunity for testing the durability of offshore wind turbines at land. wind industry in 2019 In November 2019, Copenhagen will be hosting Wind Europe Offshore 2019 in collaboration with the Danish Wind Industry Association. Denmark which is considered the global leader in offshore wind look forward to welcoming the global industry and to share the latest knowledge, create business opportunities and establish new partnerships. 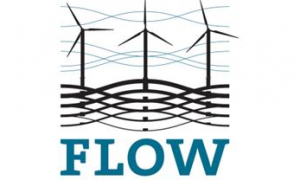 The event will for three days gather policy makers, business leaders, the entire the supply chain, the R&D community, investors and speakers from both established and emerging offshore markets, making the Wind Europe Offshore 2019 and Copenhagen the global epicenter for the offshore wind industry.